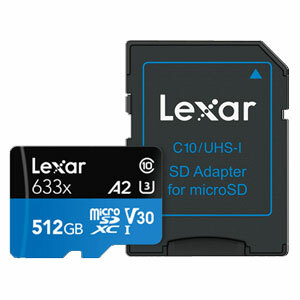 Lexar High Performance 512 GB micro SD 633x UHS-I kaarten zijn geschikt voor gebruik in smartphones (GSM) en tablets. 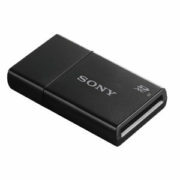 De kaart wordt inclusief SD adapter geleverd. Hiermee kunt u de bestanden op de micro SD kaart eenvoudig uitlezen in bijvoorbeeld uw laptop of desktop. Onder andere geschikt voor smartphones van: Samsung, Huawei, HTC, Nokia, Blackberry, LG, Panasonic, Sony. Tablets van o.a. Samsung, ASUS, Lenovo, Dell, Microsoft, Fujitsu, Toshiba en Medion. 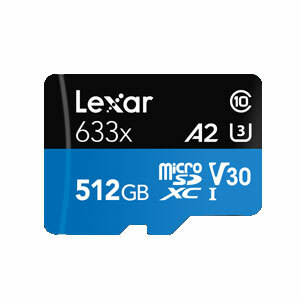 32 GB 9.000 5.700 4.200 . 3 h 45 min 2 h 20 min 1 h 30 min . 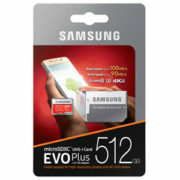 64 GB 18.000 11.500 8.500 . 7 h 30 min 4 h 40 min 3 h 00 min . 128 GB 36.000 23.000 17.000 15 h 00 min 9 h 20 min 6 h 00 min . 256 GB 72.000 46.000 34.000 30 h 00 min 18 h 40 min 12 h 00 min . 512 GB 152.000 92.000 68.000 60 h 00 min 37 h 20 min 24 h 00 min . 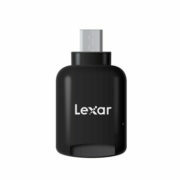 Designed for your sports camcorder, tablet, or smartphone, Lexar® High-Performance microSDHC™/microSDXC™ UHS-I cards (633x) make it easy to quickly capture play back, and transfer 1080p full-HD, 3D video, as well as the highest-quality movies, photos, and songs. These high-capacity, Class 10 cards leverage UHS-I technology to deliver high-speed performance—up to 633x (100MB/s). 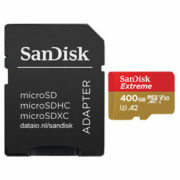 * The cards also come with a USB 3.0 reader for high-speed file transfer. 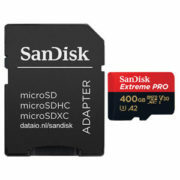 These premium memory solutions give you the speed and space you need to capture more adventure on the go. Get more from your device. 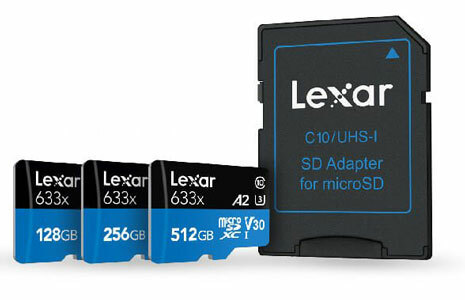 Performance microSDHC/microSDXC UHS-I cards are speed rated at Class 10, and leverage UHS-I technology to deliver a transfer speed up to 633x (100MB/s). 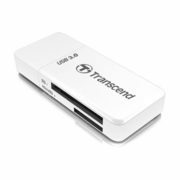 These premium memory solutions give you the speed and capacity you need to capture, transfer, and share more adventures on the go. Quickly transfer files with included reader. 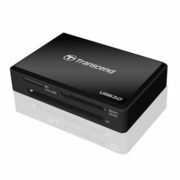 The cards also include a USB 3.0 reader to quickly and easily transfer files between your devices.